You and I both know that trusting God is NOT easy! As much as we want to every day, there is still a part of us that is afraid to let go completely. 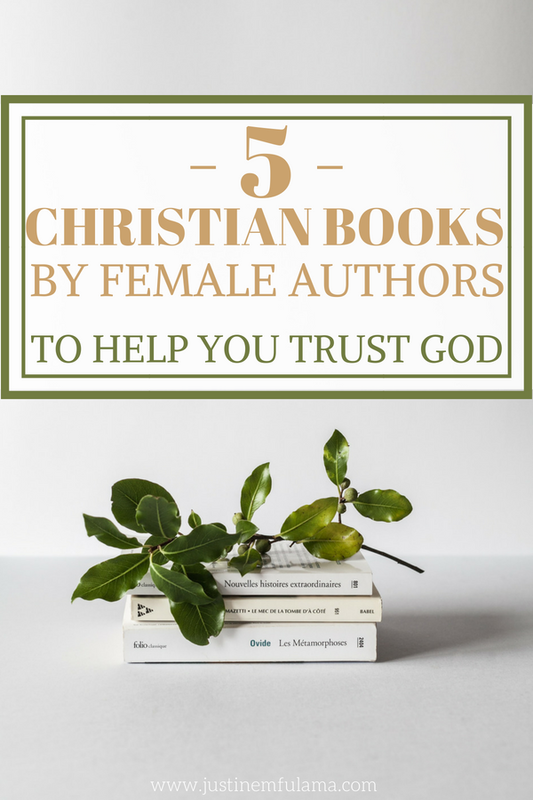 That’s why I am sharing with you these 5 Christian books by female authors that will help you trust God. Each of the following books helped me when I was worried and couldn’t see how God would change my situation. These women have gone through their own hardships and are real testimonies of God’s love for us. This post contains affiliate links. Because I read these books and found them a blessing, all links to the Amazon website in this article are referral links. If you use any of these links to purchase a book, I’ll earn a small commission at no additional cost to you. This helps me to work in Ministry full-time and cover the expenses of this blog. When I bought Unashamed by Christine Caine I was not prepared for the emotions this book would expose. Very straight-forward but loving she talks about shame. At first, I didn’t know what she meant, but very soon I understood that it was the type of shame everybody has. Shame about your past mistakes, deepest desires or biggest fears. While the book is an easy read it will make you think deep and encourage you to trust God with your vulnerability. If you are wondering how God can turn your heartbreak into something good, then Don’t Settle for Safe by Sarah Jakes Roberts is for you. 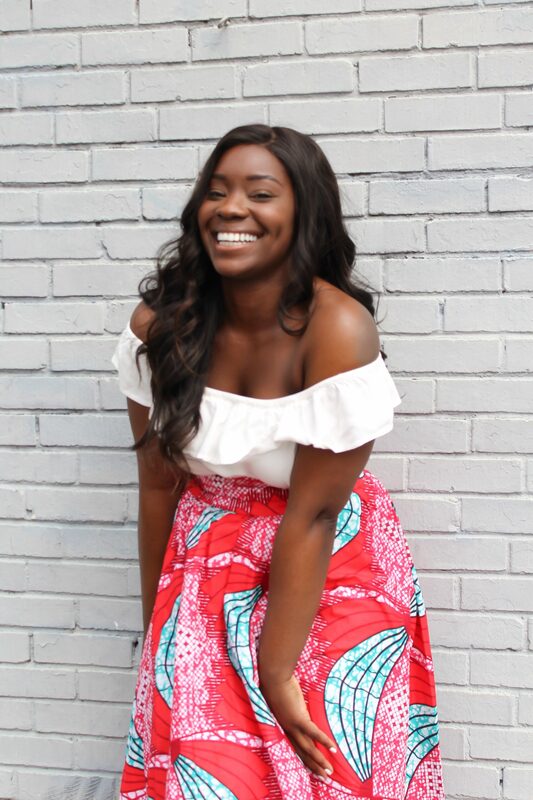 This woman has experienced multiple setbacks in her life but managed to turn her pain into power. She became a teenage mom at age 13, divorced with two kids in her early twenties and is now a pastor. Her story is a reminder that God is the author of our lives and that he is faithful. Lisa Bevere’s book Without Rival is super empowering and fits perfectly into our millennial world. In the book, she stresses that each of us has been created for our own unique purpose in this world and that we should embrace our God-given identity. It is full of her love for women, sisterhood, and God. Have you ever read a book that started off slow but after a while you can’t go a day without reading in it? That’s what happened to me while reading What Happens When Women Walk in Faith by Lysa Terkeurst . The stories she shares in the book are very personal and relatable. And every time you think there is no way you can trust God more than in that situation, she reveals yet another level of faith. This book is the sole reason why my blog is still up and running. Like in each of her books, Joyce Meyer shares her incredible wisdom in Unshakeable Trust . She reminds us of the importance of trusting God in every aspect of our lives. While I believe that developing unshakeable trust in God takes much prayer and listening to God’s voice, I am convinced that reading this book is a good place to start. So, my hope for you is that these 5 Christian books by female authors will help you to trust God even when it’s really hard. This was a phenomenal list! Thank you so much! I shared this on several different social media platforms. It is so important we have faith-building books to read! Blessings! I agree it really is! Thank you for this information! Will help us alot to find the books to read for this year!! Blessings! I’m reading Without Rival right now! I love Joyce Meyer and Lysa as well. Great list!! Without Rival was my favorite book last year! Awesome! I love Christine Caine! I just bought her new devotional Unshakeable and started it on January 1st. I LOVE it so far! Have you read it? Me too! She is awesome and so honest! I haven’t started that one yet, but hopefully soon. I’ve been working on a Devotional by Priscilla Shirer for a quite a while and hope to be done soon! Love this! Shared. I want to read the unshamed book.